Girls Rock! 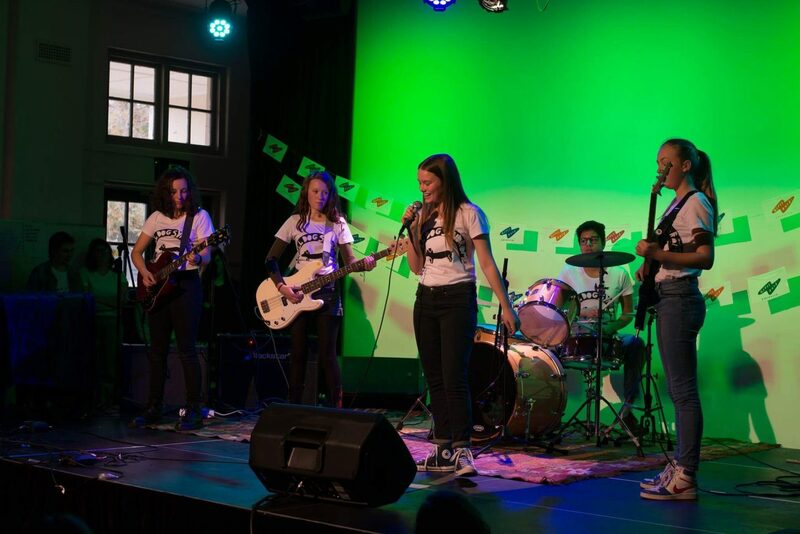 Canberra is a music and mentorship program that encourages girls and gender-diverse young people to speak up, express themselves and make some noise. GR!C aims to increase the participation of girls and gender-diverse young people in the music industry, equipping the next generations of musicians with the tools to pursue their own creative projects. Inspired by the Girls Rock Camp movement in the United States, Girls Rock! Canberra was founded in 2015 by local musician Chiara Grassia, and was the first program of its kind to be established in Australia. Our 2018 camp is set to take place from July 16th to 21st. Over the five days of camp, participants learn an instrument, form their own band, watch live music performances and write an original song to be performed at the end of week showcase. They also gain exposure to a whole world of creative skills and empowering ideas, delivered by a team of experienced mentors, including music history and feminism, self-defence techniques, improvisation skills, zine making, screenprinting and more. They will find new friends, collaborators and role models among the group – strong and unique individuals, just like them. Girls Rock seeks to be as inclusive and accessible as possible, and donations to our program help us meet that aim. Donations to Girls Rock! Canberra enable us to offer fee assistance in the form of full or partial scholarships to young people who would not otherwise be able to afford to attend and who may need this opportunity the most. For many it could prove to be a turning point – an opportunity to enter a different space, uncover a diverse wealth of influences, to be welcomed for who they are and encouraged to be what they aspire to. A donation of $500 will cover a full scholarship to Girls Rock! Canberra for a young person, including all workshop costs, but any and all donations contribute to the success of our program – going toward the purchasing of equipment and materials, on-site child-minding, and production of our end-of-camp showcase. Donations to Girls Rock! are a tangible way to support the next generation of musicians. You’ll be investing in a diverse, inclusive and dynamic music scene – and society! Girls Rock! 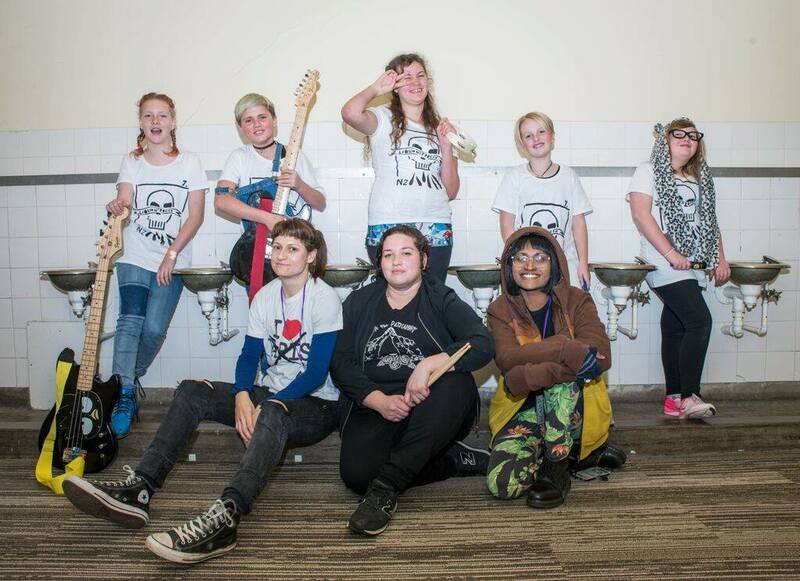 Canberra empowers girls, trans and non-binary young people (ages 10-17 years) through a week-long mentorship program that encourages creativity, self-expression and teamwork through music education. In the space of five days, participants will form their own band, learn an instrument, watch live music performances, participate in creative workshops- like making zines and screen printing band t-shirts- and write an original song to be performed at the end of the week. GR!C aims to provide a safe environment for girls and gender-diverse young people to express their creativity, take pride in their accomplishments and learn not to apologise for making some noise. Inspired by the international Girls Rock Camp movement, GR!C is the first program of its kind to be established in Australia, and is part of the Girls Rock Camp Alliance.